I received BrainBeat in exchange for an honest review. All opinions are my own. Please read my disclaimer in the footer for more information. Summer is a time for relaxing but it can also be a time for working on important habits and skills while the kids are out of school. One of the things we’ve been doing over the last few months here in the Rinna home is working on our attention and concentration skills. When you’ve got kids with autism and attention problems, this is a big problem area. Attention and concentration are not just important for school related skills; we struggle in essential areas like brushing teeth (without dawdling) and remembering to put shoes on before getting in the car (you would not believe how many trips I made up to the school this past year delivering shoes). 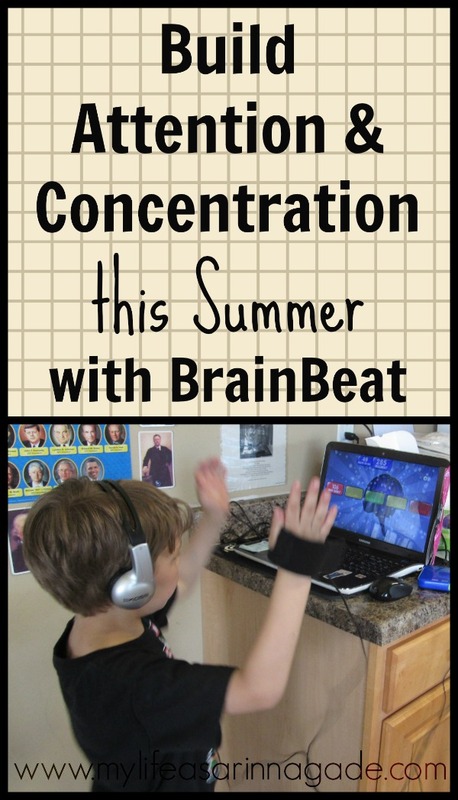 When I found BrainBeat – a program that helps the kids build focus and mental stamina – I was more than excited to review it. The concept of BrainBeat might look familiar to any of you who’ve taken your kids to occupational therapy. Many therapists use a fabulous neurotherapy program, Interactive Metronome®. Now for the first time ever – without copays or driving to the office – the same therapy used for Interactive Metronome® is available to consumers at home, exclusively through BrainBeat! 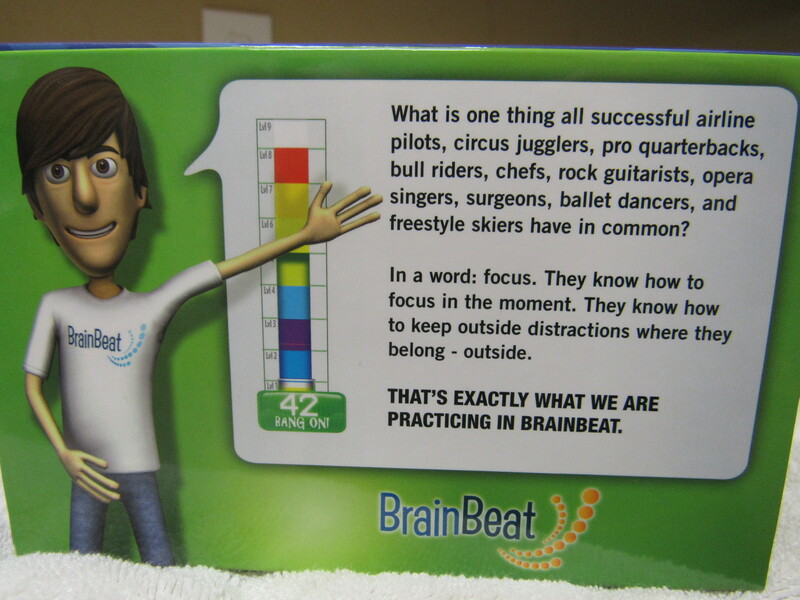 BrainBeat was designed with children ages 6-12 in mind but is appropriate for any child who could benefit from better focus and concentration (and in the age of rampant autism and ADHD diagnosis’, who couldn’t?). The website claims BrainBeat can “improve organization, concentration, ability to complete tasks independently, and improve academic performance.” There’s a lot of science behind those claims that we’ll get to in just a minute. 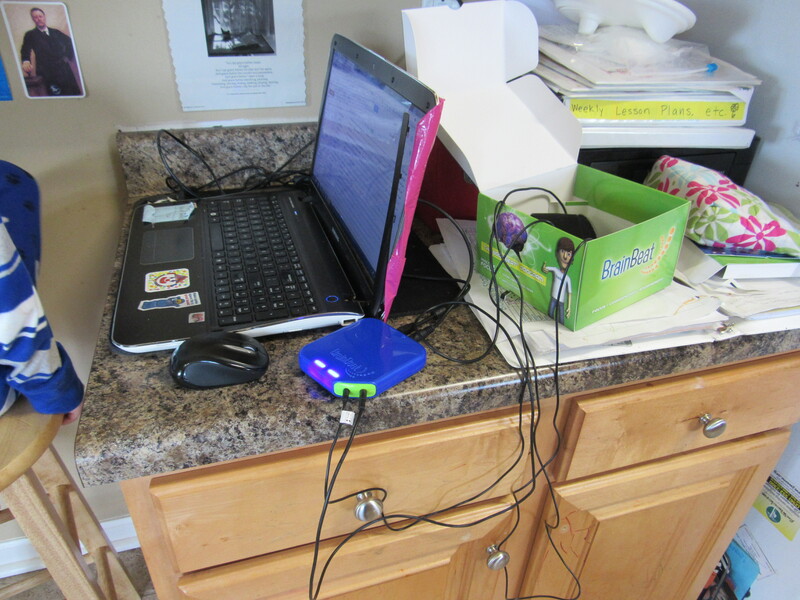 BrainBeat is great even for large families, allowing up to 5 members to use it. You get individual user names and the unit keeps track of everyone’s scores. BrainBeat also offers a 100% satisfaction guarentee. As suggested on the website, we had each boy train for fourteen 20-minute sessions. We did 2-3 sessions per week depending on our schedule. It was always the first thing the boys wanted to do before starting homework which ended up being a very good thing. What better way to warm up for homework than strengthening your focus skills? With any program to help your children, the most important consideration is whether or not the kids will actually use it. It’s not going to help them if you have to struggle with them to use it. BrainBeat was wildly accepted by my crew. After using it the first time, the boys began making requests to play it. They love Nigel – the likable BrainBeat coach – and loved conquering the different worlds. Natural motivation is built into the program. Each session introduces the boys to a new world to conquer, growing more challenging as they go to accommodate their strengthening focus skills. After completing a level, the player is provided with an instant score to see how they’ve done. They can earn fun badges in addition to conquering worlds. 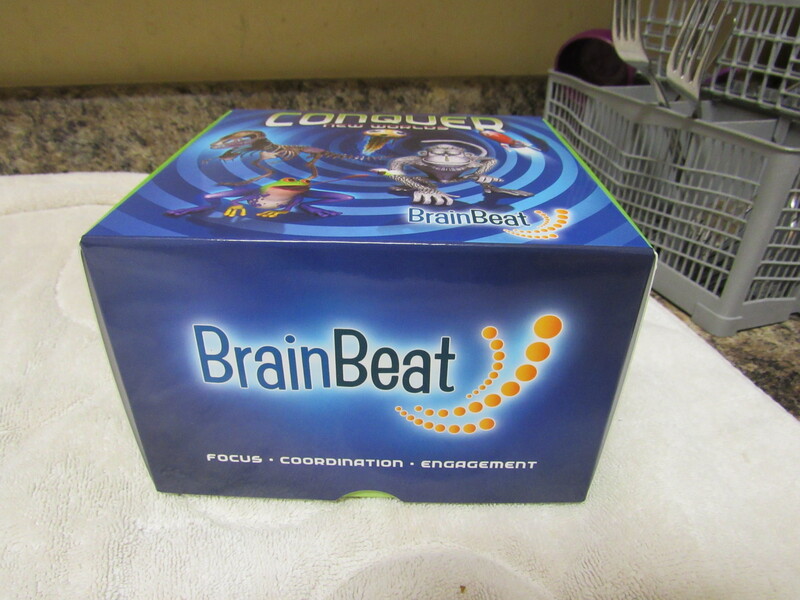 When the 14 sessions have been completed, BrainBeat is great to keep around as a maintenance program. BrainBeat is exercise for your brain; like any exercise program, the more you do, the better off you are. According to BrainBeat’s research, there is a lasting effect when you follow the program’s protocol, though. That being said, it’s still good to freshen up your skills – BrainBeat is great to use in maintenance mode right before a test or a big game. It can be used in free play mode for 5-10 minutes a couple times a week. From the website…BrainBeat improves neurological timing and rhythm through real-time, millisecond feedback by targeting two areas of the brain: the ‘prefrontal or executive’ area (which controls attention) and the parietal lobe (which controls timing, sight, sound and motion). By training the brain to focus solely on a target tone in frequent, intense timeframes, BrainBeat helps these two areas communicate more efficiently. With practice, they become synchronized and the brain learns to focus on demand. So what does that mean for our kids? Studies have also shown that BrainBeat can IMPROVE READING AND MATH skills by as much as 20%*. My only complaint with the unit (if that’s possible with all the benefits!) is that it’s a little cumbersome. I would love if some of the pieces could be wireless but once it is set up, the wires are not a problem at all. The storage of the unit is one of my favorite parts – everything fits conveniently into a nice little box to be set on a shelf until the next use. All in all, BrainBeat is a great fit for our boys. I can see us benefiting from a “forever maintenance mode” 😉 and see it being a part of our home curriculum for quite some time. Have you ever heard of BrainBeat? What do you do to help your children build attention & concentration? The unit is $249. There is no foot mat. How much does it cost? Also, does it incorporate a foot mat for tapping the foot instead of just working with the hands clapping? I think Interactive Metronome does both, but is more expensive. My son did this at a Brain Balance clinic.